Founded in the ninth century in Salerno, Italy, the Schola Medica Salernitana was the first medical school of its kind, aimed at expanding medical knowledge and professionalizing the practice of medicine. It rose to prominence as one of the most important sources of medical knowledge in the world, due largely to Salerno’s cosmopolitan outlook – like most Italian city-states, it had diplomatic and commercial relations beyond Europe, particularly with the Muslims and Byzantines, who had a wealth of medical knowledge, both preserved and of their own making. Some weeks ago, I read a piece in The Economist that has stayed with me. It was about the efforts of Sierra Leone, among the world’s poorest countries, to combat “neglected tropical diseases” (NTD), a family of 17 diverse communicable diseases that afflict over 1.5 billion in tropical and subtropical areas worldwide. It featured one victim named Hannah Taylor, who woke up one day with a fever, followed by her legs swelling up to four times their normal size. The physical damage was irreversible, and the subsequent appearance and putrid smell led to her being ostracized by her community. She was a victim of lymphatic filariasis (a.k.a. elephantiasis), a mosquito-borne infection that could have been treated safely with a pill costing no more than fifty cents before it progressed. But instead, the microscopic worms infested her body, debilitating her. For years she thought she had been a victim of evil witchcraft and was deeply depressed. Eventually, Taylor put on a brave face and campaigned to raise awareness about the disease, its causes, and why victims shouldn’t be stigmatized. She passed away some weeks prior to the publishing of the article; she was quoted as expressing happiness that her children would not suffer the way she would, thanks to Sierra Leone’s remarkable progress in fighting the disease. Progress or not, it is incredible to think that billions of lives are negatively impacted by something as mundane to most of us as a mosquito bite. It is even more incredible that a mere fifty cents – spare change we’d throw in a tip jar without a thought – is all that stands between someone and a debilitating disease. 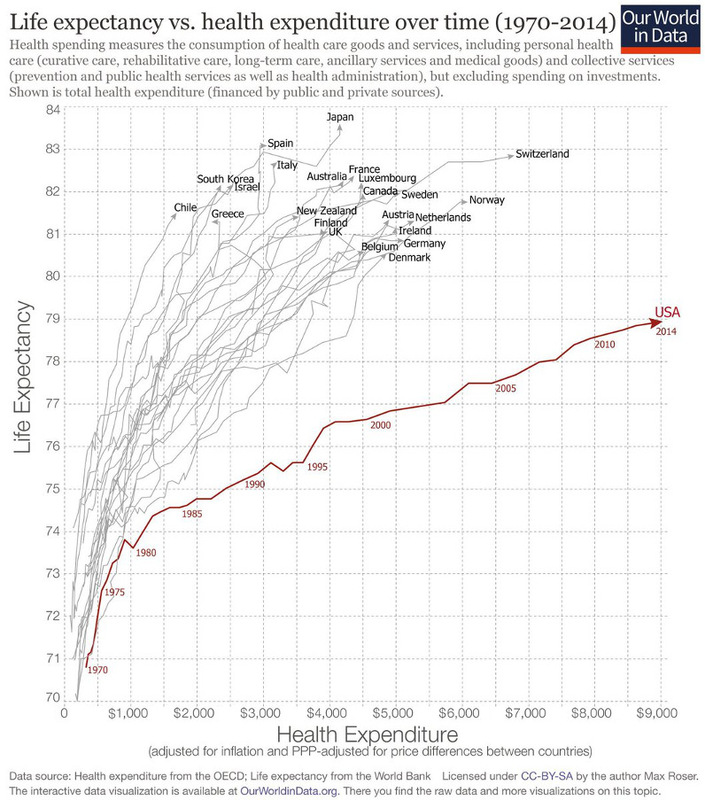 It is utterly senseless that in a world with so much wealth and resources sloshing around that we have not been able to address this vast disparity in health outcomes and quality of life. It seems that any institution that is global or multilateral in nature or name elicits visceral opposition by huge swathes of the American public. While there has long been an undercurrent of insularity and outright hostility in America towards the rest of the world, it goes without saying that under the present administration — which came to power on a platform of nationalism, protectionism, and revanchism against foreigners — the sentiment has been worsened to the point of absurdity. Handwashing is easy to take for granted. It is one of the earliest and most basic forms of etiquette and hygiene we that we learn, not to mention a major pillar of our individual and collective health. But like so many other “givens” in modern medicine and public health, hand washing was not always so accepted, even among health professionals. In fact, it practically came down to one person to discover and advocate the importance of washing one’s hands: NPR tells the story of Hungarian medical underdog Ignaz Semmelweis and his semi-successful attempts to improve the lives of millions through this deceptively simple practice. Semmelweis was a man of his time, according to Justin Lessler, an assistant professor at Johns Hopkins School of Public Health. It was a time Lessler describes as “the start of the golden age of the physician scientist,” when physicians were expected to have scientific training. So doctors like Semmelweis were no longer thinking of illness as an imbalance caused by bad air or evil spirits. They looked instead to anatomy. Autopsies became more common, and doctors got interested in numbers and collecting data. The young Dr. Semmelweis was no exception. When he showed up for his new job in the maternity clinic at the General Hospital in Vienna, he started collecting some data of his own. Semmelweis wanted to figure out why so many women in maternity wards were dying frompuerperal fever — commonly known as childbed fever. He studied two maternity wards in the hospital. One was staffed by all male doctors and medical students, and the other was staffed by female midwives. And he counted the number of deaths on each ward. When Semmelweis crunched the numbers, he discovered that women in the clinic staffed by doctors and medical students died at a rate nearly five times higher than women in the midwives’ clinic. Like any rational, scientifically-minded individual, Semmelweis carefully assessed the data and sought out some empirical basis for this pattern. “What Semmelweis had discovered is something that still holds true today: Hand-washing is one of the most important tools in public health. It can keep kids from getting the flu, prevent the spread of disease and keep infections at bay. Semmelweis kept trying to convince doctors in other parts of Europe to wash with chlorine, but no one would listen to him. Even today, convincing health care providers to take hand-washing seriously is a challenge. Hundreds of thousands of hospital patients get infections each year, infections that can be deadly and hard to treat. The Centers for Disease Control and Prevention says hand hygiene is one of the most important ways to prevent these infections. Over the years, Semmelweis got angrier and eventually even strange. There’s been speculation he developed a mental condition brought on by possibly syphilis or even Alzheimer’s. And in 1865, when he was only 47 years old, Ignaz Semmelweis was committed to a mental asylum. An ignoble and cruelly ironic end to a man whose findings are now the bedrock of public health and sanitation worldwide. Semmelweis was ridiculed, marginalized, and ultimately forgotten because his observations conflicted with the established scientific and medical opinions of the time; indeed, many doctors took offense at the idea that they should wash their hands — at the cost of their patients’ lives. It was only two decades after his sad death that Semmelweis’s recommendations gained widespread acceptance: Louis Pasteur’s confirmation of the germ theory of disease, followed by Joseph Lister’s use of hygienic methods during surgery both validated the Hungarian doctor, who lacked the scientific means to explain his findings. But given his dedication to the well being of patients, I would like to imagine Semmelweis would be pleased to see his ideas become conventional wisdom. He might also be amused that his name is used for the eponymous “Semmelweis reflex” or “Semmelweis effect”, which describes a tendency for new evidence or knowledge to be viscerally rejected because it contradicts established norms, beliefs, or paradigms.